The Art of the Dog Reception is part of Shreveport Downtown Development Authority's Downtown PUP Crawl, which features special dog-friendly activities from 5:00 PM until 9:00 PM. At the Tenth Annual Best in Sheaux, you can enjoy signature cocktails, first-class cuisine, raffle prizes, and a Westminster-style dog show at the same time. Robinson's Rescue and Rainforest Art Foundation are collaborating to host Robinson's Rescue's 10th annual Best in Sheaux ticketed fundraiser on Saturday, March 9, 2019. Premiering alongside the dog show is Art of the Dog, a mixed media visual arts show curated by Robinson’s Rescue and Rainforest Art Foundation. For ticket inquiries, call Robinson’s Rescue at (318) 221-0017. Robinson's Rescue is a nonprofit organization located in Shreveport, Louisiana that provides high volume, high quality, low cost spay and neuter surgeries to dogs and cats in the northwest Louisiana region. The mission of Robinson’s Rescue is to reduce overpopulation and euthanasia of healthy, adoptable dogs and cats in North Louisiana by providing affordable spay/neuter services and education on the importance of spay/neuter. in the age of the Anthropocene. and the earth beneath us. Each delicate flower is a gift to be cherished and preserved. Rainforest Art Foundation is proud to present the newest, nature-inspired photography show at the Marlene Yu Museum, Radiant Birds. Rainforest Art Foundation will be hosting a free reception for the exhibit during the February Downtown Artwalk on February 6, 2019, from 5:00PM to 8:00PM. Director Stephanie Lusk said, “Occasionally, people send us photos of nature that we feel are too good not to share. So the artists for this show are unknown photographers and Mother Nature.” The exhibition showcases over 20 different species of birds, each displaying impressive plumage, an interesting pattern, or a vibrant color palette. Rainforest Art Foundation is proud to present the works of Marjorie Grigonis at the Marlene Yu Museum. The opening reception will be during the September Downtown Artwalk on September 5, 2018 from 5:00PM to 8:00PM. The exhibition celebrates her 50 years of creation. In celebration of Earth Day, Rainforest Art Foundation has partnered with The Agora Borealis to present a gallery exhibition themed Micro/Macro: Under the Microscope and Into the Cosmos with an opening reception on Sunday, April, 15, 2018 from 5:00PM-7:00PM at the Marlene Yu Museum, 710 Travis Street, Shreveport, LA 71101. This exhibit is one part of The Agora Borealis' 4th annual Textile & Art Show. The focus of this year’s theme is growth and preservation, exploring the interconnectedness of the universe as well as a sustainable planet. All artwork is of nature inspired subject matter and/or made of natural or repurposed materials, and made by Northwest Louisiana artists. Admission to the opening reception is free with RSVPmymuseum@gmail.com and suggested $10 donation to benefit the Foundation. The Agora Borealis' corresponding textile show is a ticketed performance Friday, April 20, 2018 from 7:30PM-11:00PM at the Marlene Yu Museum. Textile tickets are $30 for General Admission and $80 for VIP. The Agora Borealis is also hosting a Preview Dinner and Artist Talks on Wednesday, April 11 at 6:00PM to 8:00PM at the Marlene Yu Museum for $35 per person. Limited tickets to the fashion show and preview dinner are available for purchase at The Agora Borealis at 421 Lake Street, Downtown Shreveport, Louisiana 71101, and questions can be directed to the store number at (318) 268-3011. Ten percent of all tickets and art sales from Micro/Macro 2018 will benefit Rainforest Art Foundation's mission to increase appreciation of nature through the arts. Rainforest Art Foundation is proud to feature the Natural Stone Arches and Spirit of Nature in Africa exhibitions during Downtown Artwalk North on February 7, 2018 at the Marlene Yu Museum, 710 Travis Street, Shreveport, LA 71101 from 5:00PM-8:00PM. . Admission to this special reception is free with RSVPmymuseum@gmail.com and suggested $10 donation to benefit the Foundation. "In our annual international photo exhibition Nature Through the Lens, we feature nature-inspired art from Rainforest Art Foundation's professional photographers, emerging artists, and artists who work in multimedia. In this year's Spirit of Nature in Africa show, we also feature the art of photography hobbyists, who traveled to Africa specifically to capture snapshots of impressive animals in their equally impressive natural habitats. "At Rainforest Art Foundation, we believe that connecting with nature is often the first step towards conservation." Rainforest Art Foundation is proud to have featured Susan Duke’s “Ephemeral Earth” as the signature art exhibition. The closing reception is taking place Wednesday, June 7, 2017 at the Marlene Yu Museum, 710 Travis Street, Shreveport, LA 71101 from 5:00PM-8:00PM during Downtown Artwalk North. Susan Duke says of her art, "My paintings were created as an antidote to anxiety, but now I paint from a place of pure joy." Daughters of the American Revolution (DAR) recently awarded Susan Duke the "National Women in the Arts" honor for her 20-plus years in gallery and art shows, community service to further the arts, and permanent public art installation. She was recently chosen by the Louisiana Department of Transportation and Development to have her graphic design work translated into bas-relief decorative 5-by-8-foot medallions on the I-49 overpass piers through downtown Shreveport. Director Stephanie Lusk said, "In many ways, Susan Duke's work resonates and matches so well with Marlene Yu and the Rainforest Art Foundation: sensitive to the beauty, power, and fragility of the earth, able to speak on its behalf through inspirational expressionist painting, and creative with gorgeous masterpieces you want to own… They make you want to jump right into their paintings." Free with RSVPmymuseum@gmail.com and suggested $10 donation to benefit the Foundation. The closing reception will be held during the June North Louisiana Downtown Artwalk on June 7, 2017, from 5-8PM. Rainforest Art Foundation is proud to feature Susan Duke’s “Ephemeral Earth” as the signature art exhibition on Earth Day, April 22, 2017 at the Marlene Yu Museum, 710 Travis Street, Shreveport, LA 71101 from 2:00PM-5:00PM. Blind Uncle Keith will be performing Pete Seeger covers and peace songs to celebrate RAF’s Love Nature, Love Each Other motto, as well as his own music. Keith W. Johnston, “Blind Uncle Keith”, began singing at age 3 and playing guitar at the age of 14. His influences are diverse and eclectic. His style is a combination of acoustic and electric rock, blues, and country. During the 80’s he toured the South with Departure, Zion, and Cross. His current CD is entitled, “Holding On To My Memories” and he is available to play at a variety of venues. Professional photographer Guang Zhao Che's artwork is featured in Rainforest Art Foundation's 5th Annual International "Nature Through The Lens" exhibit, opening at the Marlene Yu Museum at 710 Travis Street, Shreveport, Louisiana 71101 during Downtown Artwalk Wednesday, February 1, 2017, 5-8 p.m.
"Like an ecosystem, we are all connected. People around the world, in Shreveport-Bossier, in downtown, with animals and the earth, we learn to live together in harmony," said RAF Director Stephanie Lusk. Shanghai-born New York photographer, graphic designer, print designer, and advertising executive Jack Lee took this photo "Full Steam Ahead" on an Inner Mongolian prairie in Chifeng, where Qing emperors autumnally enjoyed horseback riding. RAF's 5th annual "Nature Through The Lens" artists are Huzhong Cai (Peter), Cheto Castellano, Yuwai Chan, Feng Chang, Guang Zhao Che, Yong Chen, Daniela Finke, Walter Fogel, Leni Fuhrman, Jiangou Guo, Hans-Jürgen Herrman, SooJung Hyun, Jiankang Jin, Jean Philippe Kadzinski, Yulia Kirschner, John Kwok, Jack Lee, Ken Lee, Bill Leonardi, Shao Gang Li, Pei Chang Miao, Ansheng Liu, Dayan Liu, Hui Liu, Jingru Luo, Mai Lu, Ying Nung Ma (Susan), Robert Morgan, Lissette Olivares, Fernando Patallo, Gerald Pisazowski, Yvonne Rubie, Chengliang San, Helga Schuhr, Ke Ming Shen, Chi Shen Wong, Wei Tang, Cheung Yu Tai, Jinghui Tian, David Wang, Fiona Wang, Mozhi Wang, Jeffrey Cyphers Wright, Rong Zhen Xie, Fang Xu, Fu Wu Zhang, and Ai Long Zhang. Rainforest Art Foundation's annual international photography exhibit, "Nature Through The Lens" travels from New York to Louisiana and Switzerland. Rainforest Art Foundation's traveling photo exhibit of strange-looking flowers becomes interactive in Shreveport, Louisiana, leading viewers to question whether plants communicate and what they may be saying at the wine and cheese opening reception of "Amazing Flowers: Do Plants Talk?" Friday, October 21, 5-7 PM. 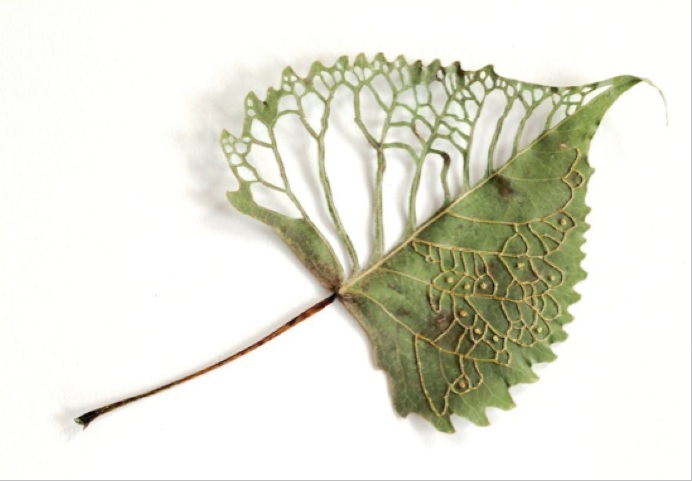 "In this interactive exhibit, we see the art of nature itself, we wonder about 'Mother Nature' as the artist, and viewers are welcomed to interpret what 'she' may be trying to convey through her work," said Director Stephanie Lusk. HELP THE MARLENE YU MUSEUM AND RAINFOREST ART FOUNDATION CLIMB UP THE STAIRS AND GROW! Give for Good FREE rock climbing event hosted by Rainforest Art Foundation and Pro27's Climbossier. RAF's Earth Day Celebration 2016 was a huge success! Thanks to all who participated and came to the event. Starting in February every 1st and 3rd Wednesday of the month come jump in a kayak to develop your skills in the LSU-Shreveport Pool. Get expert advice from some of the best paddlers in the area. Bring your family, bring your friends. For updates, pricing, and more information, please contact Garth Owens at (318) 349-8414. Join RAF for the 1st Annual St. Patrick's Day Green Arts Party and see brand new art in the gallery, sip on spiked smoothies, and enjoy tasty nibbles. Wood sculptures inspired by nature help kick off spring at the Rainforest Art Foundation in Shreveport.